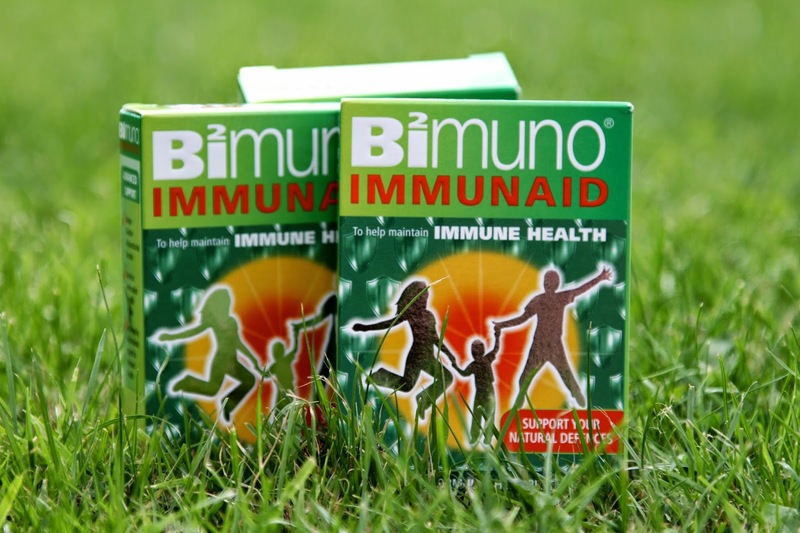 Health | Bimuno IMMUNAID and GIVEAWAY! I was contacted a week ago by Bimuno, a health supplement company that believe in revolutionising the concept prebiotic supplements. They explained to me about a product called IMMUNAID and its amazing advanced formula that supports natural defences in the body, rather than fighting the bad ones. This is called pre-biotics that help the good bacteria thrive. After reading expert testimonials and other reviews of the product it seemed simply brilliant, and took the opportunity to trial this for two weeks and see how the effects improve my gut and all round wellbeing. Bimuno® IMMUNAID is a unique patented formulation, specially developed to help keep your immune system fit and healthy. Bimuno IMMUNAID contains vitamin C which contributes to the normal function of the immune system as well as unique patented Galacto-oligosaccharides, developed in conjunction with the University of Reading. Scientific studies indicate that these second generation prebiotic Galacto-oligosaccharide’s help encourage and sustain a healthy level of your gut’s ‘good’ (Bifidobacteria). Unlike many drugs or remedies, by helping to increase and strengthen your body’s ‘good’ bacteria you are working in harmony with your body’s own systems. For more about IMMUNAID click here. For expert testimonials click here. For independent reviews, click here. The formula comes in chewy pastilles which makes it a lot easier for people who don’t like solid pills or capsules. They also taste really nice unlike many other brands. The recommended directions are to take two per day, preferably at breakfast as the benefits build over time, throughout the daily intake. I am also launching a GIVEAWAY for anyone who wants to try these and it couldn’t be simpler. Simply RETWEET the following twitter post from the link below and you will be automatically entered into the giveaway draw. I hope you can all take part in this and it would be great to here your experiences and improvements in health from IMMUNAID. I will be trailing the product for 2 weeks and then posting a full review of my experiences. Thanks for reading! Have you tried IMMUNAID before? What were your experiences?